Wrap around obstacles and try to get to the end zone! Chose what you can see. Farm ingredients, cook pumpkin soup and serve as many customers as possible! 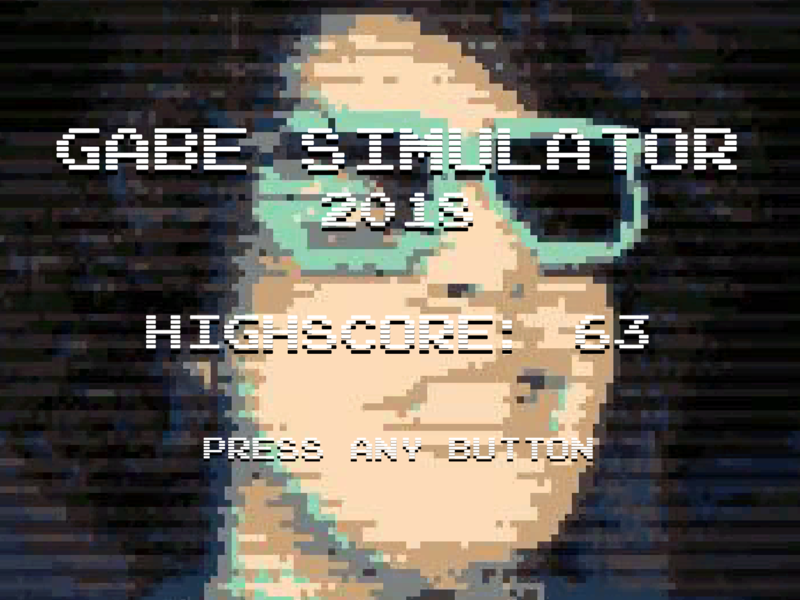 The most accurate VR Dating Sim ever. UniPocalypse is a side-scrolling runner game where you can create rainbow roads to guide the unicorns to safety. Local multiplayer game designed by Banana Squid inspired by Dodgeball and Ice Ice Water. What if a dating sim... was a shooter? I'm sure you get this request a lot but I find that sharing a project between multiple developers still needs some work. Even though I get admin priveleges on projects that I've developed that were uploaded by a team member, there are still jams like salvagejam that I cannot submit to because I didn't upload the project to my profile. Someone please correct me if there is some sort of setting I'm missing but I find this doesn't really make sense and is a bit frustrating because I tend to work on teams. Anyways thanks for listening! Thanks so much for playing, your feedback was really helpful, we loved checking out your other reviews too. It means a lot to us that you took the time to check out the game and learn a little about what we're doing. We're showcasing at EGLX next week so by next weekend we will have an updated build up if you're interested in seeing us grow :). For sure! I mean take what I say with a grain of salt, I'm a level designer so I just noticed some things that I don't know you even have to worry about really. BUT I think if you wanted to flesh out this game post-submission, I would recommend taking out the angular spike-like looking platforms that are introduced early on in the game because when you get caught in the spaces between, the metrics dont allow you to escape easily enough and because there are so many angles, you dont learn that you can sort of wall jump and progress. So the player doesn't have to restart the game, spend time trying to figure that out because it's not worth the time! Or make the walls vertical so if you tried to get out you could learn that quicker. Also in the next 'room' there are a few floating platforms over spikes and if they were placed more uniformly, it would feel good to jump onto them and move on to the next area instead of having to adjust the jump because the one platform is off. I definitely like the lantern room but I would have a segment where the player has to throw their moon into a lantern or throw the moon somewhere then having to manipulate pulling the moon in an interesting way into a lantern introduced earlier on to help transition to the challenge the lantern room poses. It wasn't until the room that requires me to wall jump in the beginning of the room on walls that have spikes in order to navigate the level but I hadn't been taught wall jumping at this point so I would remove the threat early in the level and focus on teaching the wall jump here or like I said early in that first long room where you have the 'spike' platforms as long as the walls are vertical. Also the spike placement with the characters jump makes the beginning of this room very difficult. It feels like its not the players fault. The rest of this level is brilliant though :). The room where you introduce an enemy, the lantern at the very top is a little too hard to reach, I would take it out altogether because the room is difficult enough as being an introductory space to this enemy. Anyways I realize this is a long comment, I will just give a general tip of like making sure the player knows the new learnt thing and then designing the space to where that thing is taught to be for that action. I really love the game and am impressed with the level of content and polish you guys pulled off with interesting gameplay & theme interpretation. 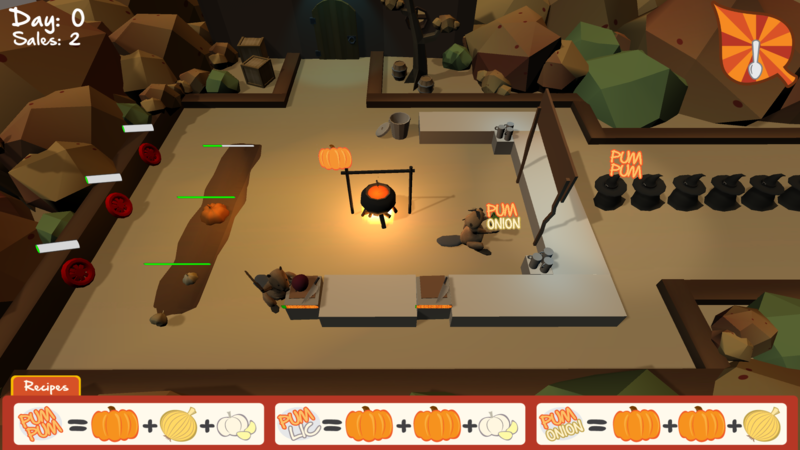 itch.io Community » Game Development » Release Announcements · Created a new topic Pumpkin Soup now available! Players work together to harvest ingredients, chop veggies and prepare recipes for as many customers as possible each day! This game was created in a week for GameJolt's AllyJam in November of 2017 by our team, the Toblerone Boys. The challenge of the jam was to create something that promotes the idea of being an ally to targets of hate. We wanted to tie the theme into the gameplay and were inspired by how Overcooked naturally gets players to communicate and work together in order to complete a variety of tasks in the environment. A bullet hell maze game where you play as a knight that must navigate a level in darkness, illuminated only by dangerous light orbs that the player reflects using her Mirror Shield. With a controller, you can explore the level using the left joystick. To deflect a light ball, tilt the right joystick in the direction you want to deflect the light ball when it comes close to the character. This was created in 12 hours by our team for GBCJam#8 which had a theme of 'Reflection' as well as for Ludum Dare 39 with the theme 'Running out of Power' which we had designed to link with the light orb lifetime but removed the feature for scoping purposes. Feel free to download and play our submission and tell us what you think!